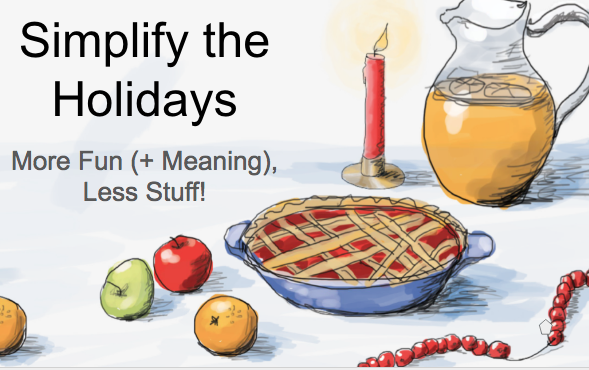 As part of our resources to help you and others Simplify the Holidays, we've created a set of pre-packaged slides that you can use to make presentations in your community. This comprehensive slideshow offers tips and ideas for celebrating the year-end holidays in a less-stressful, more meaningful, and simpler way. Note: This presentation is not editable without permission from New Dream. If you would like us to send you a version that you can adapt for your own presentation, please email us at newdream@newdream.org.